All-Terrain 3 No-Zip Pet StrollerAvailable in 3 colors and holds up to 75 pounds of cats! All-Terrain Generation 2 Cat Stroller/JoggerWhy leave kitty at home? Take her with you! Holds cats up to 60 pounds! Auto Barrier Pet PenAvailable in two sizes; great for travel! Bike Basket Cat Carrier-Car SeatSorry, this item is no longer available. Cat Bathing TubIf you’re brave enough to wash your cat, you’ll probably want this! Cat Bucket Booster Car SeatDoes your cat like to ride in the car? This may be just for you! Cat Carrier/Car Booster SeatSorry, this item is no longer available. Console Booster Pet Car SeatAvailable in two sizes and 3 colors! Designer Stairs with Removable CoverHelp your older, arthritic cat reach his favorite spots! Designer StRamp with Removable CoverA little help for your older cat or tiny kitten! Easy StepHelps your older or disabled cats up onto a chair or sofa! 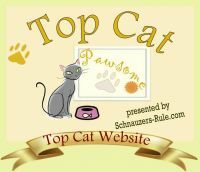 Easy Step Bed StairsGreat for aging cats, or breeds with shorter legs! Expedition Pet StrollerHolds up to 150 pounds! Happy Trails Cat StrollerHolds up to 30 pounds of cats! Happy Trails No-Zip Pet StrollerEasily get access to your cat! Holds cats up to 35 pounds. I-GO Plus Cat Carrier-Car Seat-BackpackYou have a rolling suitcase when you travel; why not a rolling cat carrier?